NiceLabel Blog - Part 1: Why Companies are Modernizing Labeling Systems to Address Today's Labeling Challenges. NiceLabel Blog Part 1: Why Companies are Modernizing Labeling Systems to Address Today’s Labeling Challenges. In the visual above, Lee Patty highlights some of these challenges. We’ve summarized them below with some brief suggestions on how to address them. Many companies have hundreds of static label templates that are difficult to manage and work with. With Domtar, these static templates were consolidated and reduced from hundreds down to 20, making overall management of labeling much easier. Another fairly common challenge is having inconsistent label designs, which can be eliminated through implementing a centralized role based access and control system. This allows you to have greater accountability and control over your formats, where customers do not have to deal with multiple and duplicate design variations. 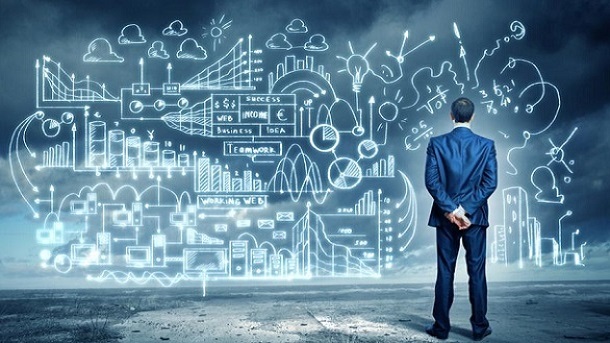 Traditionally, IT departments would design labels, whereas now label design is shifting toward the marketing or business departments, as it is more cost effective and efficient. IT resource is often more expensive and their time is limited. 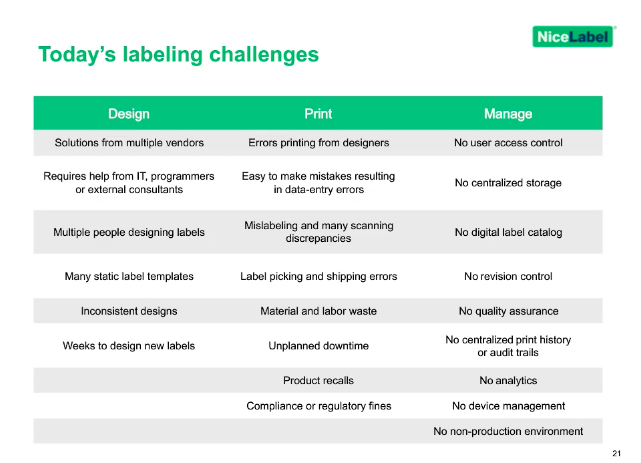 If business users can be self-sufficient in designing labels, IT is no longer needed. Compliance issues need to be emphasized because generating accurate labels while maintaining compliance is critical. Having labeling software that supports regulations with features such as UDI labeling or food labeling requirements is highly valuable. Unplanned downtime – This is an indirect and yet big cost that happens frequently. Unplanned downtime can result in shipping delays which translates into lost sales. Make sure your system can shift labeling to another location, ensuring steady production levels and business continuity in the event of unplanned downtime. Not having a role based access system for label design and approval can result in unauthorized people making changes to labels. By compartmentalizing users and defining specific roles within the system, you can avoid unauthorized label changes. Lacking quality storage and filing systems causes businesses to not be able to follow up the revisions and keep track of their labels. Instead, store labels in a document management system built for labeling so that you can keep track of your labels and all associated activity. These fairly common problems can be solved through implementing next generation labeling systems with optimized processes. Stay tuned for the second post where we will talk about why and how companies are modernizing their labeling systems.